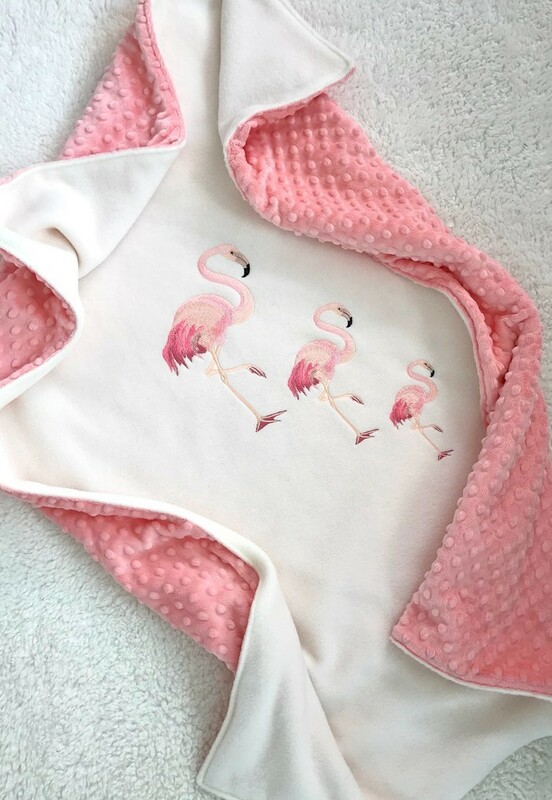 Who doesn't like these beautiful birds- a trio of flamingos in gorgeous pinks backed with a coral Minky dot. 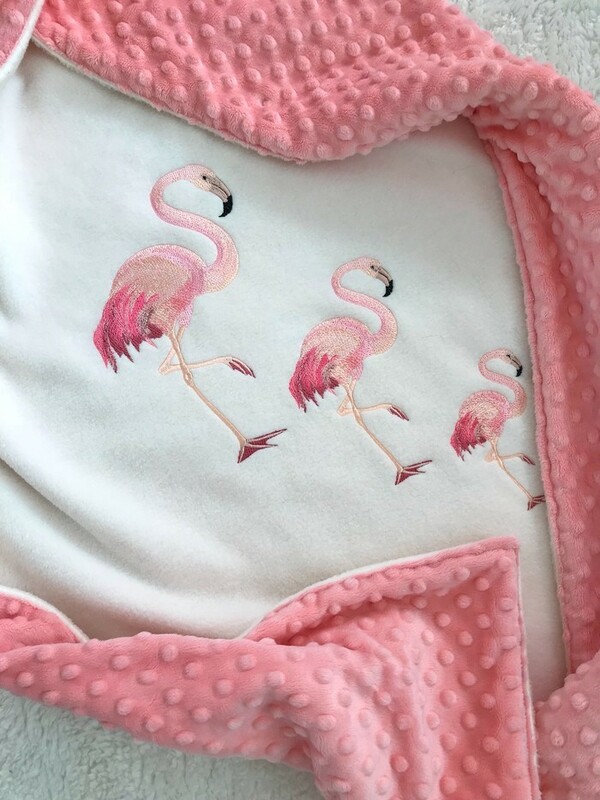 A wonderful addition to any baby nursery with a flamingo theme. 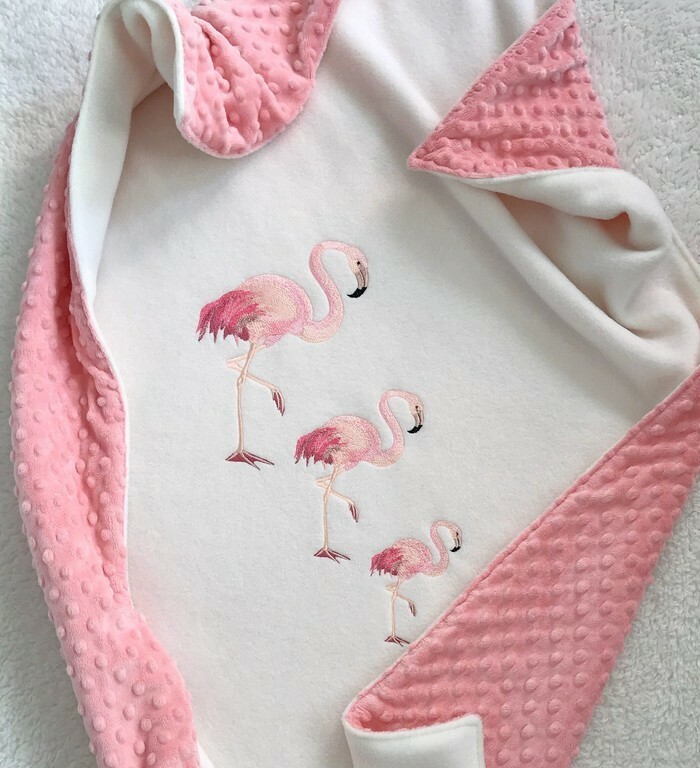 This is a handmade item and there may be very slight variations between the blankets pictured and what you will receive. This blanket is machine washable. DO NOT BLEACH. 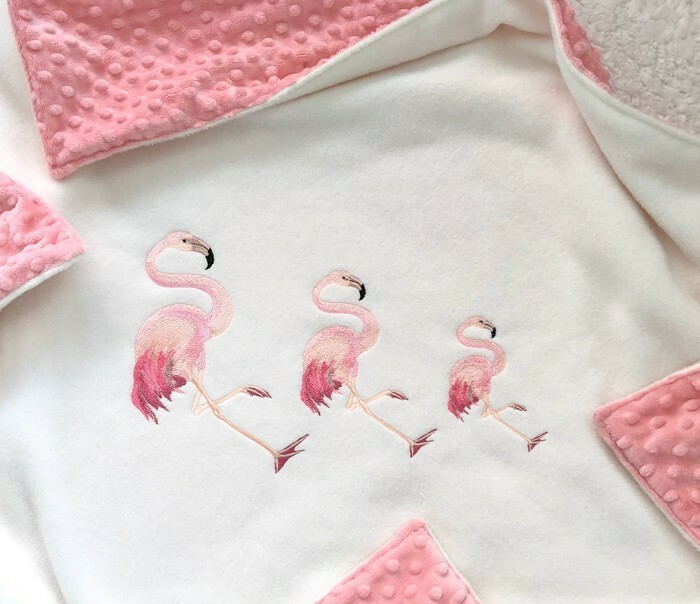 Please allow 7-10 business days for your blanket to be completed + shipping time to your destination. 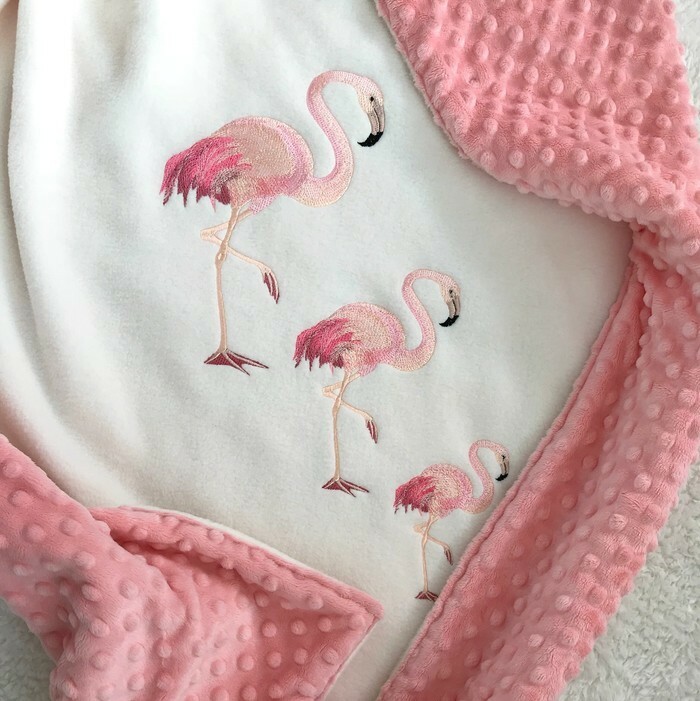 All blankets are shipped Economy post- please contact me for Express shipping rates if you wish to have your blanket sooner. For any urgent orders, please message me first- a charge will apply. Machine washable in cold water on gentle cycle. A laundry bag is recommended to protect the embroidery. 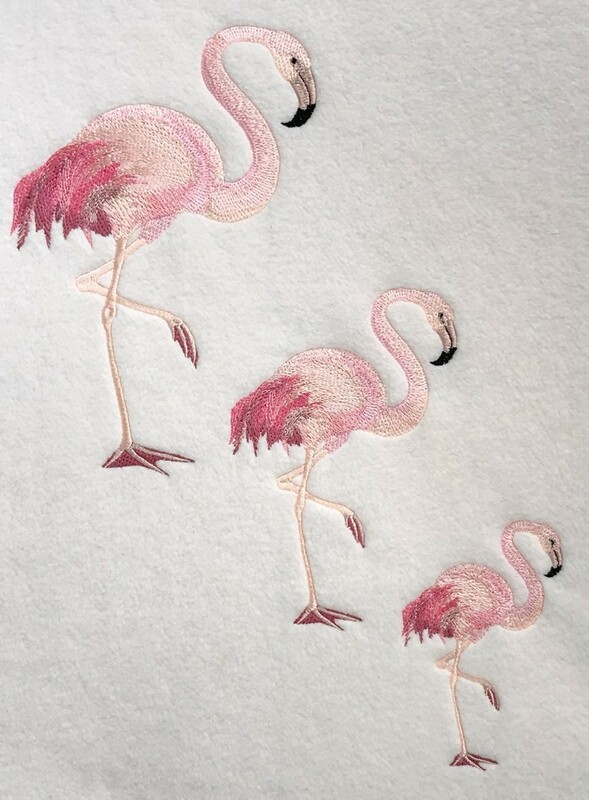 Embroidery design from Embroiderylabdesigns on Etsy. NB. Please be aware that although every effort is made to photograph the fabric colours accurately, different monitors, operating systems, web browsers and devices may not accurately reflect those colours.